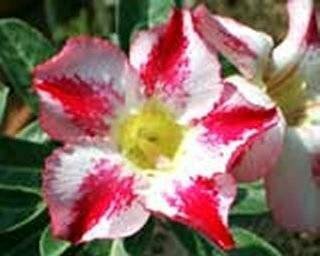 Adenium are not necessarily a rose…… Desert Roses, or Adeniums as they are better known as are not roses at all and are not even remotely related to the Rose. 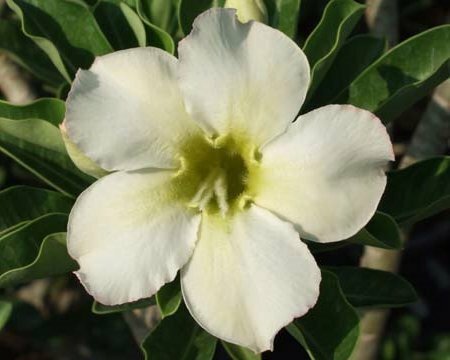 They belong to the Apocynaceae family which includes: Allamanda, Oleander, Mandevilla, plus many more including the world wide favorite Plumeria or as we know it here the beautiful Frangipani. Adeniums are experiencing a huge popularity growth and are in very great demand due mainly to the hybridizing that has taken place in Thailand and Taiwan. Where once only the common pink obesum was grown, now the colour range is huge, it is easy to see why this intriguing plant is growing so quickly in popularity. Much easier to grow than most people realize. 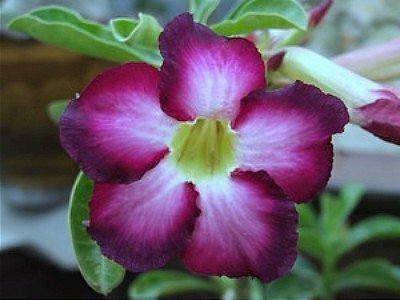 Adeniums don’t like to be over-watered, the Adenium is a plant that will give you beautiful flower displays with little or no extra effort. CLIMATE. 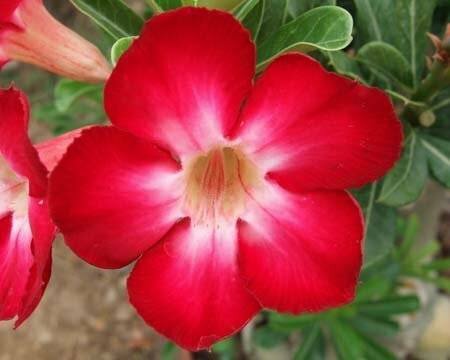 Once thought of as being only a tropical plant, the Adenium will grow happily in full sun in even colder climates as long as it is not left out in the cold during winter or prolonged rainy periods. 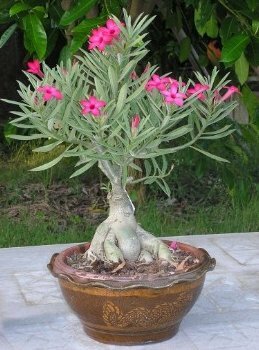 Generally grown in pots, the Adenium is an excellent plant to grow as a Bonsai, yet left to grow, it will grace any patio with its unusual swollen caudex and beautiful blooms. 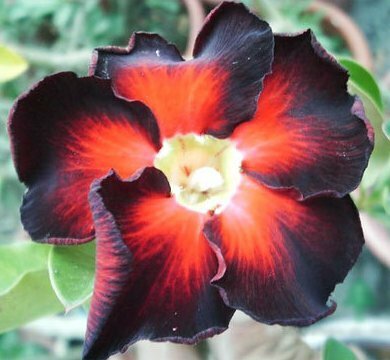 CARING FOR YOUR ADENIUM. 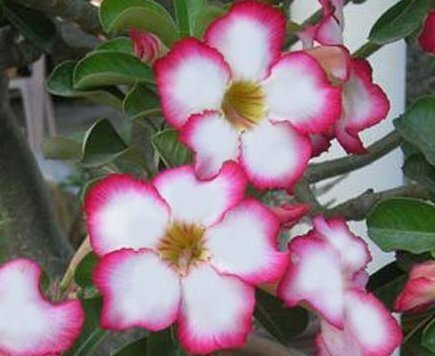 Adeniums can be grown in a pot with good drainage, your adenium is easy to look after. We grow our Adeniums in a mixture that is 1 part peat, 1 part good sand and 1 part fibre. Water sparingly and preferably in the morning. An exceptional variety. Golden yellow flowers with rather unusual petals. With five lines stripped down right in the middle of each petal. It blooms easily and is very cute. 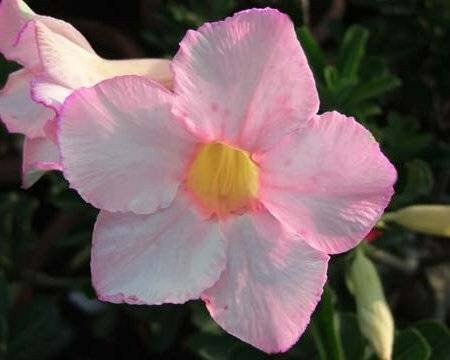 Very pale Pink flower Petals and a yellow throat with good cold weather resistance. 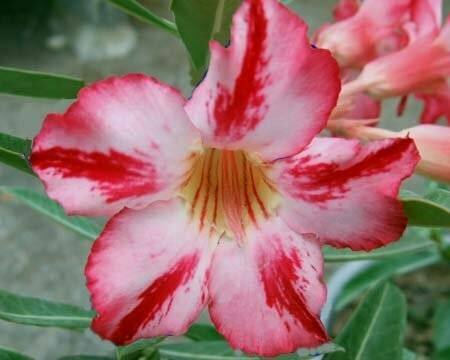 White with Pink and Red flowers.Stunning and fragrant perfume. Lovely strong,dark, deep solid Pink flowers. This Bonsai plant should be grown in a container indefinitely. It needs a lot of light and fresh air. Keep it in a bright location in winter. In summer keep it in a sunny location, which it will benefit from, watering it twice weekly. 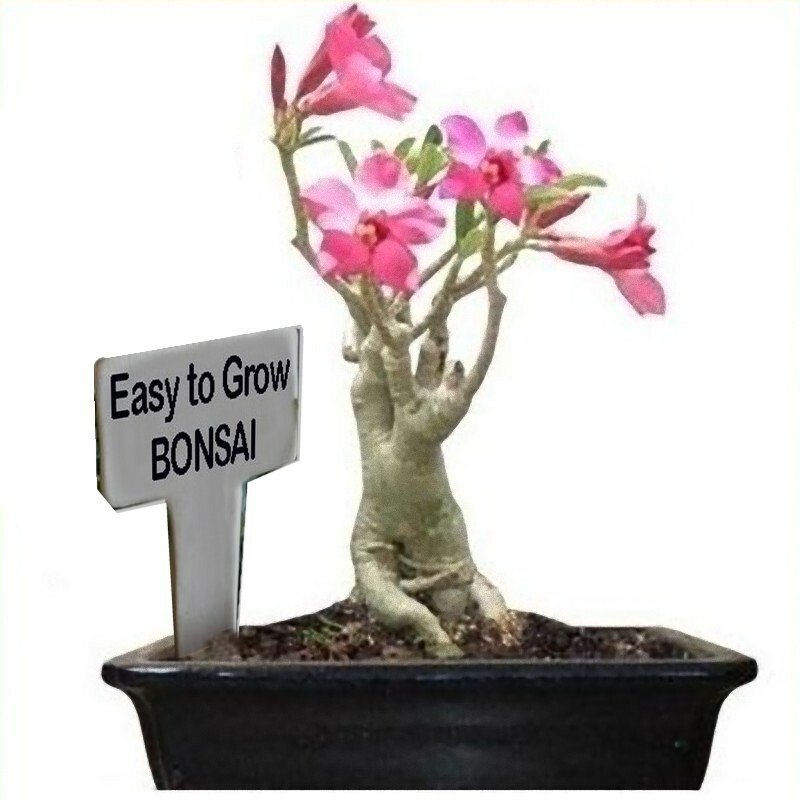 Will only grow to a height of 6 inches (15 cm) in a pot so is well suited for Bonsai as it regulates its own size. 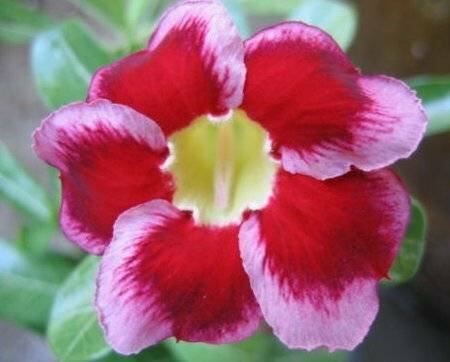 We can supply you from a wide range of seed from Thailand, that is traditional, unusual and tropical. Our seeds include Kaffir Lime and Calamondin fruits; ranges of Frangipani, Adenium, Impatiens or Ylang Ylang flowers; 5 Types of the herb Basil; Spice like Galangal and Vegetable seeds.